As the New England Aquarium celebrates its 40th Anniversary, it gives us a moment to reflect on how we can help to protect our blue planet. On Saturday, July 25, the New England Aquarium Dive Club (NEADC) and Reef Environmental Education Foundation (REEF) are sponsoring the Great Annual Fish Count (GAFC). 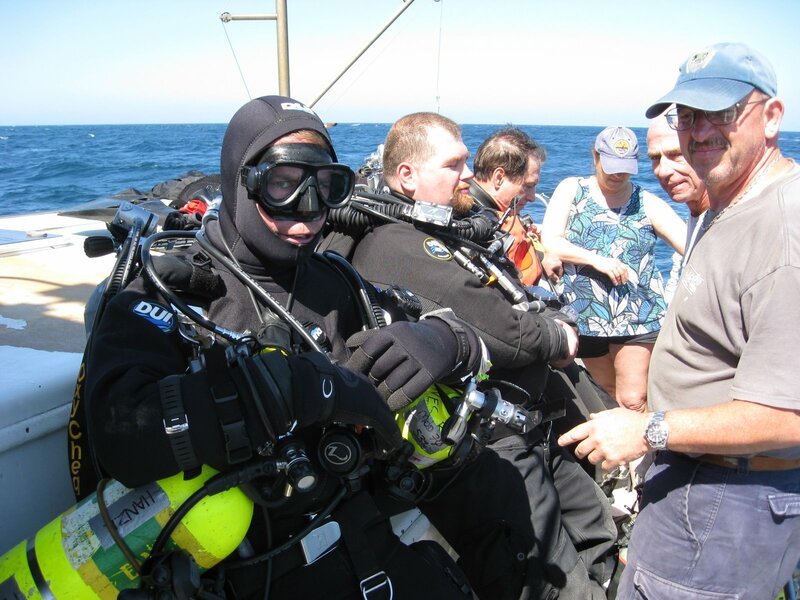 This year, our 8th, divers from all over New England will count fish populations at various dive sites on Cape Ann as well as southern Maine. (NEADC recently held a New England fish ID course to familiarize divers with the various species to identify and how to count them.) 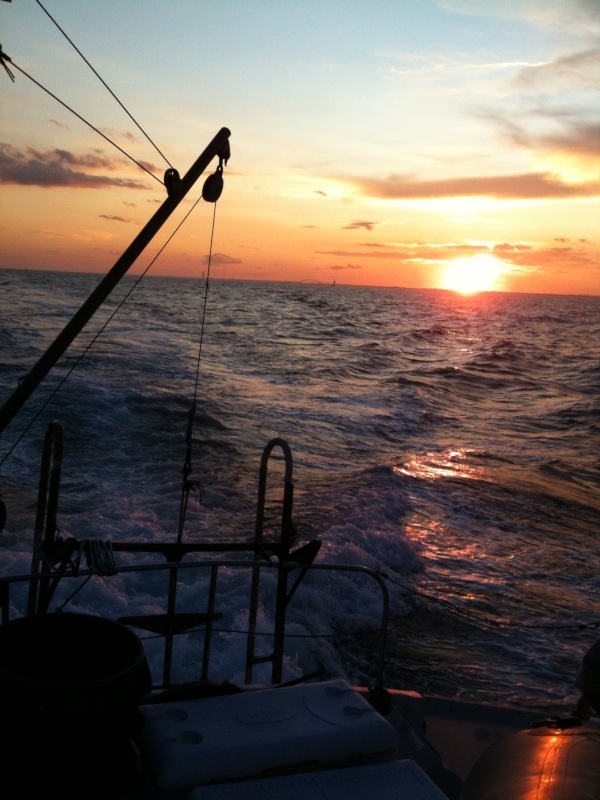 Data from the event is used to raise awareness among both the diving community and public regarding marine habitats and trends in fish populations and to provide researchers, marine resource managers and policy makers with this useful information. After the dives, everyone meets back at the staging area to fill out surveys reporting what they counted. They are given raffle tickets for chances to win more than $8,500 in prizes! Some of the prizes include a dive vacation to Bonaire, underwater cameras, wetsuits, regulators, fins, and of course, the rare privilege to dive into the Giant Ocean Tank here at the New England Aquarium! The NEADC is providing lots of food back at Stage Fort Park afterward as well. If you're a diver and want to come out and count fish with us, check out the event's website at or visit the Dive Club website and REEF website for more information. And, don't forget to check back in with this blog in a few weeks for information and pictures of what we saw and counted and how we did it! #49: Our Reef Residents - New Barracuda! We are currently in the process of acclimating all of the fish that were collected on the 2009 Bahamas spring collecting expedition to the Giant Ocean Tank (GOT). One of our favorites is this juvenile barracuda (cuda for short). Before going on exhibit, all of our fish undergo a three-minute freshwater dip and a one hour formalin dip. This helps to eliminate parasites. During this formalin dip the cuda is nestled nicely with his tank mates. Once the fish have finished their dips, they go into acclimation chambers within the GOT. Here the cuda is in a floating pen where he will remain for a couple of weeks along with the needlefish. For me SCUBA diving is not just a job, but a way of life. So what am I doing when I'm not SCUBA diving in the Giant Ocean Tank? Diving out in the ocean of course! 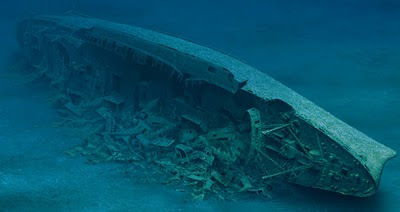 Over the past six years I've been training for one single experience - to dive on what's been called the "Mount Everest of SCUBA diving" - the wreck of the Italian cruise liner, Andrea Doria. Located deep in the cold waters of the Atlantic, 160 miles northeast of Long Island, the Andrea Doria is both a beautiful lady and a daunting challenge. A challenge I met on an expedition aboard the RV Garloo this past week. Armed with 200 lbs. of gear, five tanks filled with four different mixes of breathing gases (including a helium mix that makes me sound like Donald Duck), a lot of preparation, and a little bit of courage, I dropped off the side of the Garloo and down to 250' for a pair of visits to a piece of history. During the lengthy decompression process on the way back up to the surface, I reflected on how I had become one of only a handful of people to ever see this magnificent ship in her final resting place deep in the murky gloom, 250' below the relentless swells of the Atlantic. #47: What's Happening - Happy 4th of July! Boston can be a great place to celebrate the Fourth of July. Here are some pictures of our volunteers and interns celebrating the Fourth of July, "Giant Ocean Tank" style! a splash from a giant stide entry into the tank. It's not your normal cook out cuisine but Myrtle seems to enjoy it. And adding a little red, white, and blue to our dive gear.